Repair Zone: The Drive Experts! Worn, discolored, and other parts that are historically known to fail is part of our next level, preventative maintenance that is performed on each VFD. 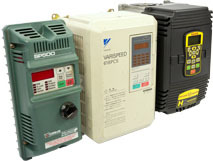 From fractional horsepower to large, 100 HP and up, Repair Zone can service your VFD. 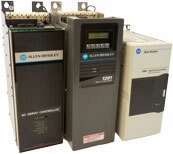 One or our advantages is our huge inventory of parts and full test capabilities. Your 100% satisfaction is our goal when you choose Repair Zone.